In more than 30 years of working and playing in, around, and under cars, I can only remember two door slams that I thought were worth a mention. 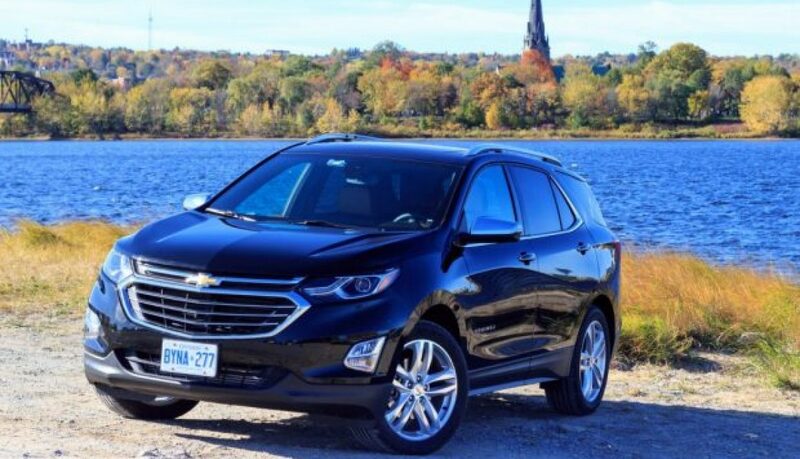 The first is the Mercedes-Benz G-Class, and the second is the 2018 Chevrolet Equinox. If you’ve ever been so fortunate as to slam the door on a G wagon, you’re already familiar with that thunk. Bank vaults slam shut like a G, not the other way around. As for the Equinox I spent the week with, let’s just say it wasn’t at the same level. In fact, it was about as far in the other direction as I’ve ever experienced. So my question was this: will the rest of the new ‘Nox win me over, or will the rest of the experience live up to that first impression? It’s 8 a.m. and I’m standing in a parking lot looking at a sea of cones and listening to a lecture about the rules for the day. It sounds like the start of a typical autocross day. Only this time, I’m not in my usual autocross car. I’m looking at something a little newer, a lot more silent, and massively more efficient. 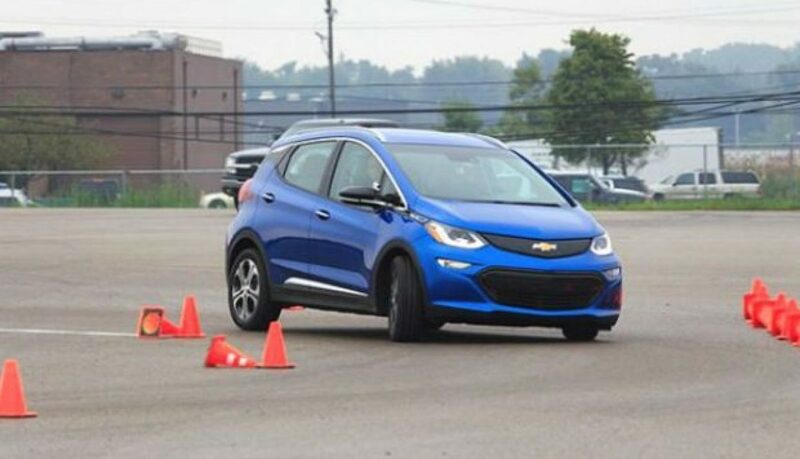 Waiting to be tossed through the cones is a fleet of Chevrolet Bolt EVs. That’s right, I’m putting an electric car against the clock in one of the tightest and most unforgiving forms of motorsport. The purpose? The get event is by Chevrolet which wants to show the Bolt is more than just an economical EV. It wants to demonstrate that electric cars can be fun to drive and break past any perceived stereotype of high-tech silent blandmobiles. They’re likely the most expensive thing you’ll buy for your car, but how much attention do you pay to the little rubber donuts that go between your car and the road? 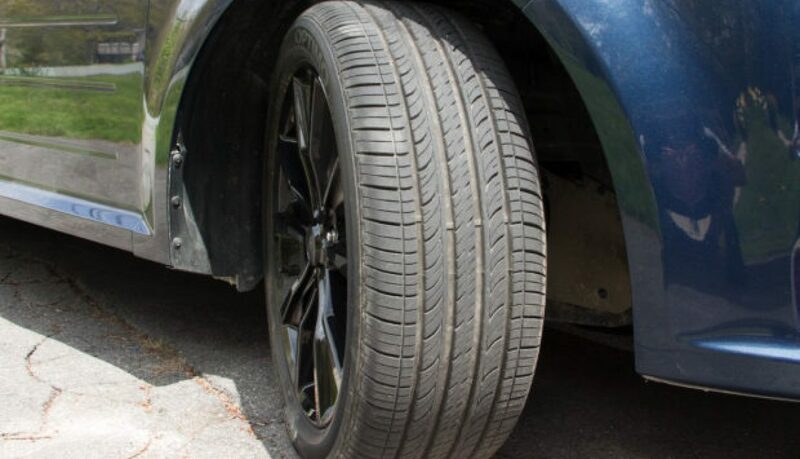 Tires are one of the biggest factors affecting your performance, ride, fuel economy, and safety, but navigating through hundreds of choices can easily get overwhelming. The wrong choice can mean your truck can’t haul, your sedan rides like a rock, or that your muscle car turns all of its V8 power into smoke. So here’s the autoTRADER.ca guide to helping you pick the right tire for your vehicle and driving style. There are three branches on the high performance Volkswagen tree these days. In North America, at least. 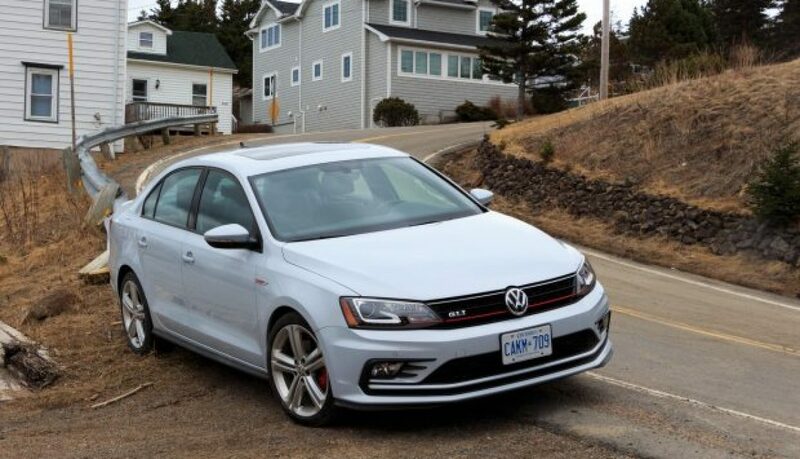 There’s the top branch Golf R, and right below that is the Golf GTI. The bottom branch is the Jetta GLI. But I’m here to tell you that the lowest branch, and the slowest of the trio, is the one you want. Looking for a throwback to the days where motoring really meant something? Wind in your face, side curtains up. A warm Harris Tweed scarf, some string-backed gloves, and you’re ready to go. 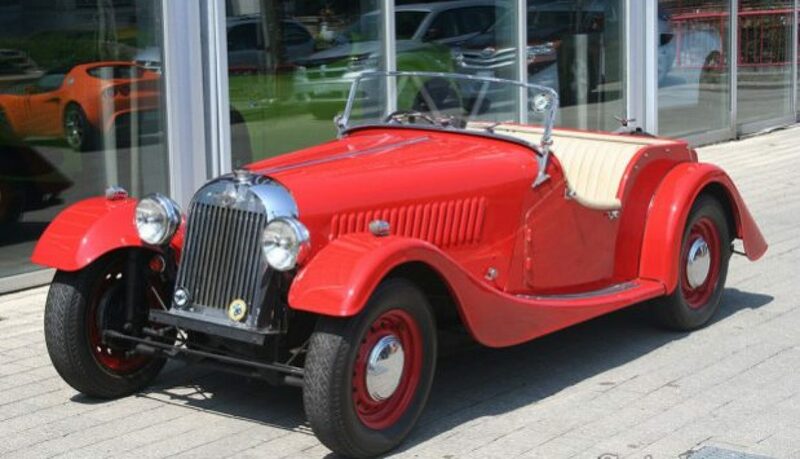 If that sounds like what you’re looking for, this 1952 Morgan Plus 4 might be just the ticket. A 1952 “flat radiator” model, with a 1991 cc four-cylinder engine from a Triumph TR2 connected to a four speed manual transmission. While only producing 90 hp through twin SU carbs, this car weighs less than 850 kg and so still moves along quite well. It won’t set the road ablaze, but I recently drove a newer 4/4 with similar horsepower and two people in the car and found acceleration surprisingly brisk, on par with most modern sedans. The car is not equipped with power steering or brakes, but the narrow tires, light weight, and wide banjo-spoke steering wheel mean that you won’t likely feel a need to have them. The Plus 4 is the larger chassis of the time. The plus referring to the longer wheelbase and increased power over the 4/4. This provides some well needed extra leg room, some extra width, and a larger amount of space behind the seat for luggage. As long as your luggage is a medium sized soft bag. Which is still an improvement over the map and pair of gloves a 4/4 will fit. This is a gorgeous red car, with beige leather interior, plenty of beautifully finished wood (and yes, very important parts of the chassis are in fact made from ash) and a black hood. It is fitted with twin spare tires, which is indicative of the quality of tires in the 1950s, and somewhat of a novelty today. The car is right-hand drive, but the narrowness of the body and the excellent visibility (no a-pillar airbags to be found here) mean that driving in left hand drive traffic should not pose a challenge. This car was built in the 1950s, but the basic design is from 1936. As such, the suspension is firm, with ride control bordering on crashy on poor roads, the ergonomics are of a different era, the handling as vintage as the body style. Despite this, the cars are great fun to drive. Quick steering, excellent visibility, very light weight, all combining for an engaging and fun experience. The smiles you’ll evoke from passersby are worth the price of admission by themselves. Morgan made the Plus 4 from 1950 until 1969. It was largely unchanged, through this time. Major changes being a revised front cowl grille for 1953, as well as progressively larger and more powerful four cylinder engines. There were also four seat roadsters made as well as two and four seat coupés for a limited part of the production run. This early model is listed at $45,000 and is one of only two Morgans listed in Canada right now. The story of TVR is the story of a company that has shown moments of brilliance with some gorgeous and incredibly fast cars, followed by poor management, bad luck, and hard times. The original TVR was founded in 1946 in Blackpool, England by Trevor Wilkinson. Initially, he started by doing general engineering projects, but in 1949 TVR Engineering (drop some letters from Trevor, and there you have it) built their first chassis using Morris Eight suspension components and the engine from a Ford van. 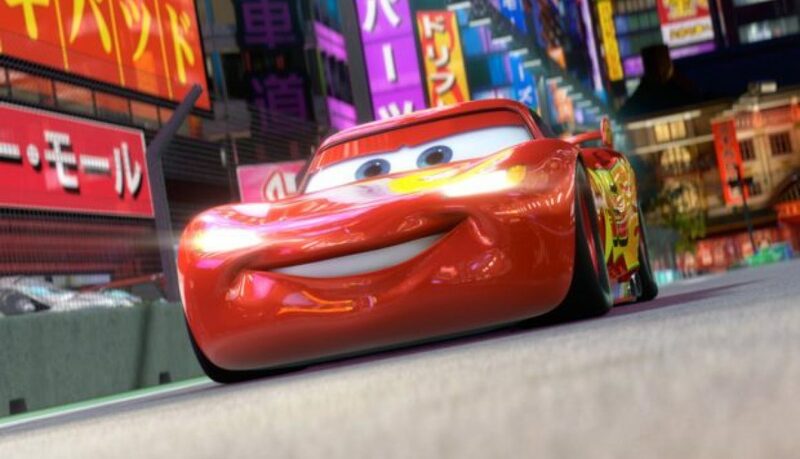 The cars were billed as light-weight racers that could “out handle anything”. By the late ’50s, the carmaker was producing a handful of chassis and bodies per year, mostly exported to the US. This small volume, combined with poor leadership lead to their first reformation. Under different management, the company increased production and developed the first Griffith. Named for the driver who designed it, it took their existing Grantura and added a 4.7L Ford V8. A dock strike in the US in 1964 lead to a sales stoppage and the company was liquidated in November of that year, only to have the assets purchased by a shareholder. Production re-started, revised Griffiths started winning races, and sales picked up. The first Tuscan was introduced in 1967 with a Ford V8 and later a V6. They sold 173 of them by 1971 when the TVR M-series replaced it. These were the first of the more extreme TVR road cars, being called loud and fast, with excellent road holding. They were also cramped, with poorly operating HVAC systems. Nearly 2,500 were built over nine years. By 1981, the company was again foundering, and ownership was transferred to Peter Wheeler (namesake Trevor Wilkinson had left the company in 1962). They began building cars with enhanced versions of the popular (Buick based) Rover V8. In the early ’90s they developed their own V8, and then an inline six based on that V8. Which isn’t the way you normally do a six from eight, but TVR was never a normal company. While working on these, they started making more extreme performance cars. The new for 1991 Griffith weighed 1,048 kilos and had a 340 hp V8 in a very stylish body. The Chimaera had the same engine but was intended to be a GT car, so it was fitted with softer suspension but was the same lightweight sports car underneath. The Cerbera got the Speed Six and Speed Eight engines making up to 440 hp from a naturally aspirated 4.5L V8. Finally, we arrive where this week’s history lesson ends. The new-for-1999 Tuscan. With stunning stacked headlights, scalloped doors, swooping roof, cheese grater lower grille, and massive hood extractor scoops. The model started with a 350 hp inline six, a weight of just 1,000 kg, and then grew in power from there. No anti-lock, no traction control, no stability control, and no airbags. Just you, the throttle, the brakes, and the massive grip controlled through the small-diameter steering wheel. The Tuscan will accelerate to 160 km/h in 8.1-seconds, and can corner at nearly 1.0G. But it also gets AC, and even with the targa roof stowed the trunk has enough space for a little bit of luggage. Best use soft bags though. Inside are functional and pleasing features. The exposed aluminium curve of the top of the dash is actually a structural brace. The pedal box is on display instead of carpeted, but that makes it easier to move the pedals to fit you. The instrument panel is made from brass, which isn’t more functional but it definitely leaves an impression. While many of the older TVRs were sold in North America, the manufacturer fell behind on our increasingly tough safety and emissions laws. That means that the later cars like the Tuscan were never imported to Canada. Well, the first Tuscans have recently crossed our 15-year import mark, and we’ve found one that’s been brought over. 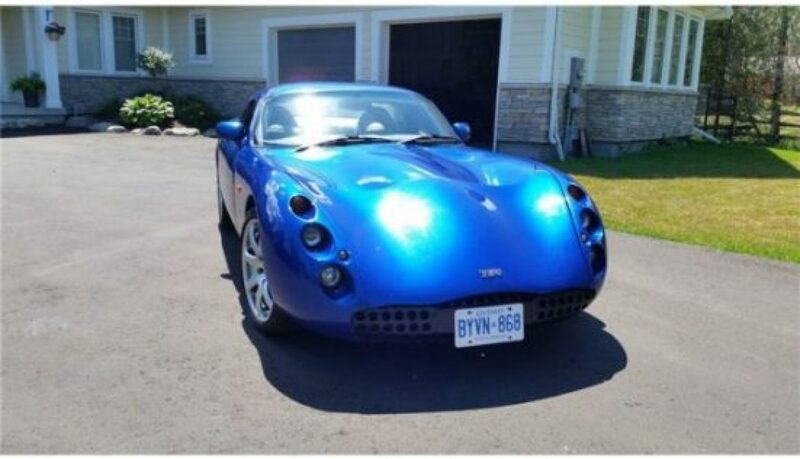 Our autoTRADER.ca find of the week is this stunning 2001 TVR Tuscan. The body is painted in a vibrant blue you might recognize from the Viper GTS. Inside, the seats are grey leather with darker grey carpet. The interior has been recently replaced, and the colour combination showcases the brass gauges and knobs. Under the long, clamshell hood is a recently rebuilt TVR 4.0L “Red Rose” inline six producing 380 hp and 310 lb-ft of torque. The suspension features adjustable shocks by Nitron, a UK company with extensive motorsports experience. The car is currently registered in Ontario, so all of the importation work has already been dealt with. As the ad says, this is not a car for “the faint of heart, or for those not prepared to be stopped in the street and photographed.” But it is just the ticket for someone who wants a brash, powerful, visceral driver’s car with the looks to match the drive. BMW’s iconic E30 M3, the first generation of 3 series-based M car, was sold in North America for just four years. From 1988 to 1991, just over 5,000 were sold between Canada and the US, with 185 produced for Canada. While those are small production numbers, that represented nearly a third of all E30 M3s sold worldwide. The good sales volume meant that when the E36 chassis M3 was introduced in 1992 it was expected that we would get the new car as well. But that didn’t happen. The E36 M3 went on sale in the rest of the world as a 1993 model, with not a whisper of cars headed to Canada. There was finally an edition built for the US, introduced in 1995. That car had a different engine than the European one. European cars were upgraded that year to a 3.2L straight six making 320 hp. The US got a 3.0L version making a mere 240 hp. There was just a five-speed instead of a six-speed manual, and the suspension was different. All to cut costs for the American market. Canada didn’t even get that car, at least not right away. We didn’t see the North American M3 until 1997, at which point there was a 3.2L six, still producing a middling 240 hp. The North American car wasn’t bad, in fact it won dozens of comparison tests even against much more powerful cars. But it wasn’t the same. Especially if you knew about the higher powered European cars. But notice that I said we didn’t see the North American version until 1997. There was a caveat there. An asterisk. A loophole. Canadian importation laws were a little different back then. There was an agreement that meant that if a car was approved for sale in certain European countries it could be sold in Canada as well. BMW felt that a full run of cars for North America would be too expensive, but that if it brought in a small run of unmodified cars, then they could justify the higher price. It was a short-lived loophole, but BMW took advantage of it. For 1994, BMW Canada brought over just 45 M3 coupes. BMW labeled them the “Euro-spec M3” and they retailed for just under $60,000. A steep sum when a 318ti stickered for just $24,900. But every car was sold within three days. Not a surprise, since the car carried the full-fat M Motorsport 286 hp, 3.0L inline six and had the European suspension. With such low numbers, the 1994 Canadian M3 is the lowest production M3 that wasn’t built specifically for racing. The only changes for Canada were the addition of a third brake light and daytime running lights. To show just how unique they were, each car was fitted with a numbered plaque. Letting you know where you fit into the lucky 45. Underneath, the 1994 cars kept the stronger rear differential from the European car, and had floating brake rotors. That handful of “Euro Spec” cars now command a serious following. And a serious price tag. But if you wanted the full M3 treatment, they were the only way to go. Until about seven years ago. Once a car reaches 15 years of age, it becomes much easier to import into Canada. So some M3s from Europe started to cross the ocean. Those cars are much cheaper. They’re the same car, but since they’re not labeled as one of the 45, they’re less desirable. 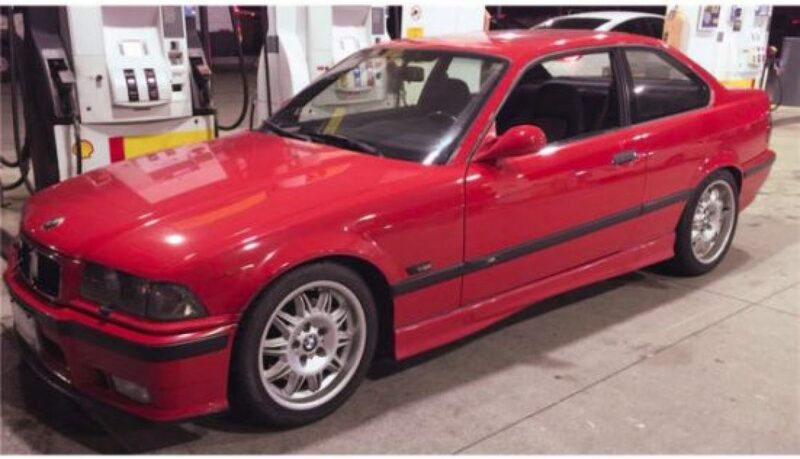 Our autoTRADER.ca Find of the Week is a 1994 BMW M3 and it was imported from Germany a few years back. The car, in Mugello Red with very rare black M-cloth fabric and suede seats, is for sale in Mississauga, Ontario. It’s a lower mileage example, with just 147,000 km on the clock. It has air conditioning, which was optional on these cars. There have been a few modifications over the years, like smoked tail lights, but the owner reports that an extensive service history is available. Good examples of an E30 M3 can now sell for over $100,000. The much more rare 1994 M3 Euro models are now selling for upwards of $80,000. But you can get that European M3 experience for much less if you get an imported example, like our Find of the Week. Maybe there’s no numbered plaque in the glove compartment, but it’s still not a common car. This is still a rare opportunity to put yourself behind the wheel of one of the few “real” M3s of the E36 (1992-1999) generation to make it to Canadian roads. Plus this way you don’t have to be afraid to drive it. 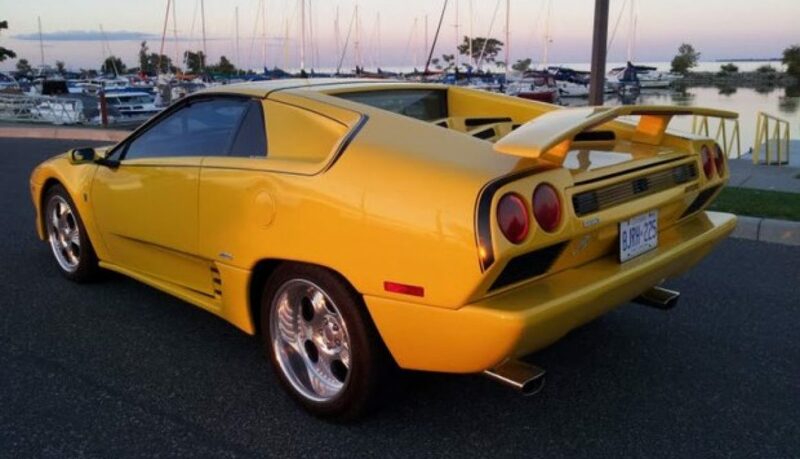 Every week, we here at autoTRADER.ca bring you some of the most interesting, unique, rare, cool, or just plain oddball cars we can find as part of our Find of the Week series. But this week, instead of just showing you some cool car for sale we’re giving you a way to help bring home those cars. 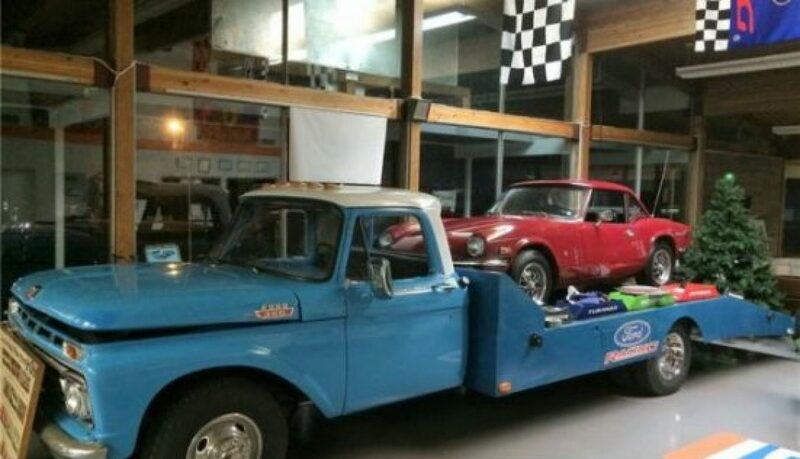 That’s right, it’s a car hauler, more specifically a 1965 Ford F-350 with a car hauler bed. But this vintage hauler has a little bit more style than your average truck. The Ford F-series of light trucks started way back in 1948, and for a little more history on that original model you can take a look at our Find of the Week on an F-68 Stepside from that year. By the time of this 1965 truck, the F-series was on generation four. The fourth generation F-series got off to a rocky start. The generation was introduced in 1960 and was available with a fairly novel integrated cab and bed. There was no gap between the front of the bed and the back of the cab, the whole thing was once piece. That was much cheaper for Ford to produce, but it was dropped in 1963 because it wasn’t popular. There were even rumours that overloading the bed would bend the body enough to jam the doors shut. During the switchover, production issues meant that some of the 1963 and 1964 trucks actually had to use the old-style 1957-1960 beds. For 1965 a big refresh was in order, at least underneath. The F-series got an all-new frame to sit under the same body. The new frame got Ford’s all-new Twin I-Beam front suspension. That was Ford’s first independent suspension on a truck and was a big step toward the acceptance of trucks-as-cars that we have now. 1965 was also the first year for the new 300 cubic inch (4.9L) straight-six engine and a 352 cubic inch (5.8L) V8. Those introductions were all ideas that would stick around in Ford trucks. The frame was used in the F-series until 1979. The twin I-beam suspension is still used in E-series chassis cabs, and the 4.9L straight six could be found under the hoods of F-series trucks until 1996. The F-series became the best-selling truck in Canada that year, a title it hasn’t given up since. Our find of the week is an F-350. That means it is a one-ton model, which would have come with a 4,445 kg gross vehicle weight rating. The heavy duty nature of the truck means that it didn’t get the new independent front suspension with coil springs. Instead, there is a solid front axle and beefy leaf springs. This is a work truck, so of course that’s what you want. Because this truck was intended to haul big things on the back, it’s equipped with dual rear wheels. The engine is Ford’s 5.8L V8, which is an FE block. The FE series of engines was Ford’s mid-size block. The FE is the same engine design made famous as the massive 7.0L V8 that saw duty in the Shelby Cobra, helped Ford win Le Mans in the GT40, and was banned from NASCAR when equipped with overhead cams. In this application, the 5.8L V8 made 208 hp and 315 lb-ft. It’s equipped with a four-speed manual transmission that’s geared for moving loads over high-speed cruising. Inside is a simple, vintage cab. There are just three gauges, with a prominent center speedometer. It’s simple, functional, and there’s nothing there you don’t need. The way a working vehicle should be. The most important part of this truck is the dovetail bed on the back. It’s set up for moving cars around, not recovery, so there is no winch or tow gear. What there is is a nice big space to show off your car, with tie downs to hold that car in place. If you have an interesting car that you need to move around, then our autoTRADER.ca Find of the Week is one of the coolest ways to do it. And if you don’t like the car hauler look, the seller says that they’ll work with you to turn it into a flatbed stake truck instead.